Several weeks ago, I shared a post about how we reduce, and even eliminate, wasted produce. 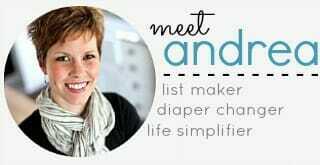 A few days after I published that post, one reader emailed me about how she reduces wasted produce by keeping it already washed, cut up, and ready to go in a large food storage container in the refrigerator. As I responded to her email, I knew I would be implementing her idea that night after the kids went to bed! For several years now, I have used this exact same strategy with fruit and cheese — but for some reason, I never thought to use it with veggies. I always keep containers of already sliced or cubed block cheese in the cheese drawer for snacks and sandwiches; and our fruit drawer is filled with storage containers of already washed and sliced strawberries, peaches, mandarin oranges, washed and de-stemmed grapes, cut-up watermelon, etc. etc. We use the cheese and fruit several times each day as we make or pack lunches, get snacks for the kids, or need a quick side dish for our meals. When the containers empty out, I wash, peel, chop, and slice more fruit and cheese after the kids are in bed (when I’m usually preparing food for the next day anyway). I cannot tell you how much time and energy this already prepared food has saved me over the years… and I honestly have NO idea why I never did it with veggies. I guess I have always done it with carrots (I wash, peel, and slice them — then put them in a container with a little water) but I don’t remember ever doing this with other veggies… until the past couple of weeks! Ever since I read that email, we’ve had a food storage container packed full of colorful, already-prepared, garden-fresh veggies in our fridge. It’s ready and waiting whenever we want a quick snack or need an easy side dish for our meal. 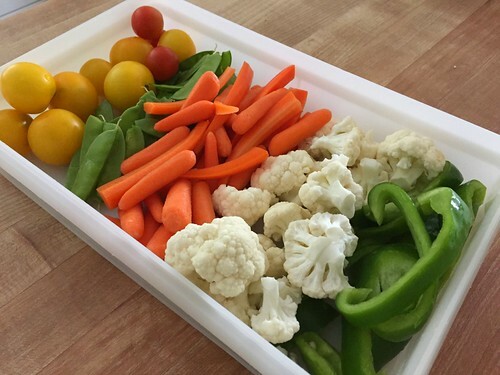 Obviously, keeping this container stocked with prepared veggies takes some work on my part, but the benefits far outweigh the work I put into it… and here’s why! 1. It helps us use up our garden surplus. 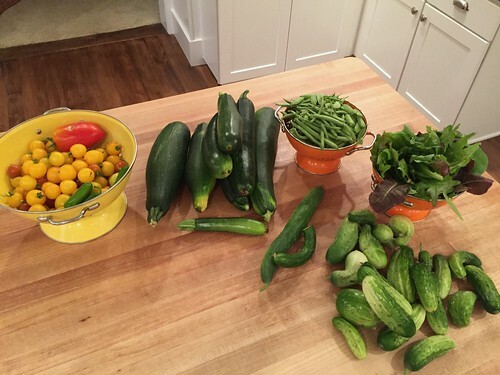 We have SO many tomatoes, peppers, peas, and cucumbers — all of which we love to eat raw. I’m convinced that having them ready to go at a moments notice has helped us eat many more garden veggies than in previous years. Of course, if you don’t have garden veggies, store-bought veggies will work just as well! 2. It’s a super fast and easy side dish for almost any meal. When I’m in the middle of making lunch or dinner, the last thing I want to do it get out piles and piles of dirty garden produce, wash it, dry it, and cut it up… so we often didn’t have many raw veggies with our meals unless I set aside extra time to get them ready (and I rarely did that). Now, I take a little bit of time at night (after the kids are sleeping) to cup up a bunch of veggies for the next 2-3 days and store them in a large food storage container. Then whenever we eat, we pull out the container and we all pick some veggies to go with our meal. Our container of veggies also makes it much faster and easier to whip up a yummy gourmet salad! 3. It’s great when we have unexpected guests or get invited to a last-minute gathering. I’ve already pulled out our container of veggies 4 or 5 times over the past month when we’ve either had unexpected guests or gotten invited to a last-minute gathering and asked to bring a side dish. Everyone was thrilled to have a healthier option and I was thrilled that I didn’t need to do any work or run to the store for something. 4. It has changed our kid’s attitude towards veggies! In general, I would say that Nora and Simon are pretty good eaters. 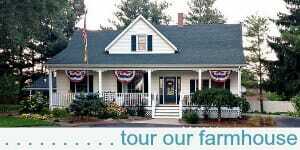 They eat a wide variety of foods, clean their plates at every meal, and enjoy different types of food. However, they were never big on raw veggies. For them, it’s fun to see the colorful veggies and pick what ones they want to try. Even if they take one bite and spit it out, it’s still better than nothing at all. In general, our container of already-prepared veggies has been SUCH a positive addition to our meal-times. It’s so handy having fresh veggies (and fruit and cheese) ready to go all the time — especially when hunger strikes and I’m trying to frantically prepare food for 3 hungry mouths (and myself). I have a feeling our veggie bin will be even more advantageous for me once school starts and I’m on my own again during the day! If you’re not big on veggies, start with your most favorite raw veggies (or the one you are trying to like!) and keep a small container ready to go in your fridge. 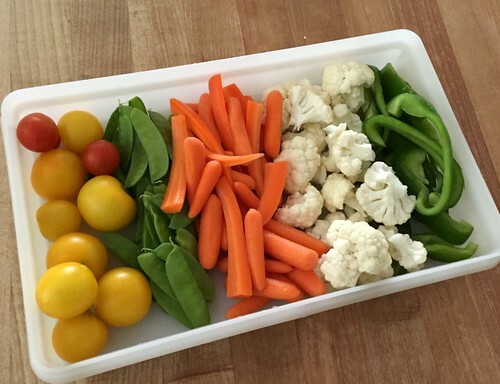 You might be surprised how much more likely you are to grab a few veggies if they are all ready to go! I do wash strawberries, blueberries/ blackberries when I get them home and they last for a week in our fridge. I take a bowl, fill with cook water, then add white vinegar and let them soak for about 3-5 min. Then strain them and lay them in a strainer with paper towel under them. I do not rinse the vinegar water but you don’t taste it. I do each fruit wash separately, i.e. all blueberries together, all strawberries, etc. I do not hull the strawbs. Then I take zip lock sandwich bags put a piece of paper towel at bottom of each bag, and then easily put each fruit in separate bag. I don’t load a lot in each baggie, I sometimes have 3 sandwich bags of strabs. I fold down the zippered part and leave the bags open and all my fruits bags are in handled container in our fridge and marked FRUIT because my husband could never find them. The reason this works is the vinegar removes the dirt and fungus that causes the deterioration. I have some strabs, blueberries and blackberries that I got last Thurs and they are still good. Rasberries last almost a week. I tried putting them in closed containers but it just didn’t work, so now they have some air flow. If the paper towel at bottom gets really wet you have to remove and replace with dry. But I let the fruit dry on papertowel in the strainer. Fruit is soooo expensive in the Chicago area, I can’t afford for it to go bad. I ordered some FRESHPAPER from Amazon to try, just got it have not tried it. I also use the Blue Apple in my veggie tray. If I have time on a weekend I will slice carrots, peppers, onion, etc because we have raw salad every night. In a few days it gets bad though, especially onions. We always have carrots and celery sticks we pack for lunches and cauliflower and broccoli when I have time to cut it up. The vinegar wash has really saved me a lot of lost $. wow — this is such good information. Thanks for sharing! I might need to try the vinegar wash! All this is good, but I am wondering how you keep washed and sliced fruits (as you mentioned), such as strawberries and raspberries (and any others). I will wash strawberries ahead but never slice or cut them until ready to eat. I barely like to even wash raspberries because of how they break down!! Any suggestions? Carol, we also do not really “wash” raspberries or blackberries as they fall apart, but blueberries, grapes, and strawberries are all washed (and strawberries sliced) in containers in the fridge. I usually do about 3 days worth at a time and we’ve never had an issue with them getting mushy, moldy, etc. It makes lunch and snack times SOOOOOOOO much easier to just pull out the containers and dump the fruit on their plates — no washing, drying, cutting, etc. 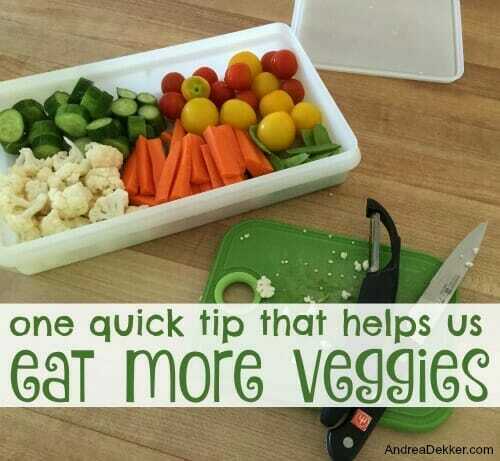 What a great idea for getting kids to eat their veggies! The container of veggies looks so colorful and nicely displayed. As you say, even though they may spit the vegetable out the first time they try it, at least they’ve had an opportunity to try a new vegetable and will more than likely try others they actually like, and thereby develop healthy eating habits as they grow. I do this with onions and bell peppers, but mince them for the many times we make vegetable omelets for dinner or breakfast. I need to do this with other vegetables and slice them in bigger pieces to eat raw since we don’t eat raw vegetables enough. 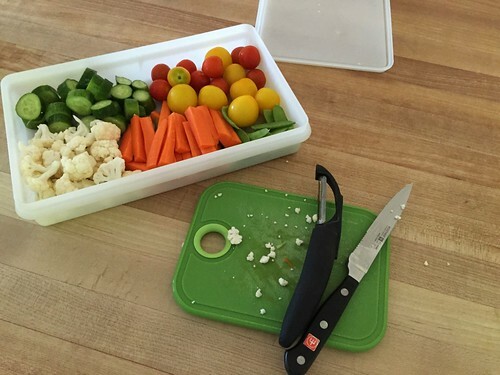 yes, this would be great for packing veggies in lunches! Smart! Hmmm, I just got home from the store… Yeah, good plan! 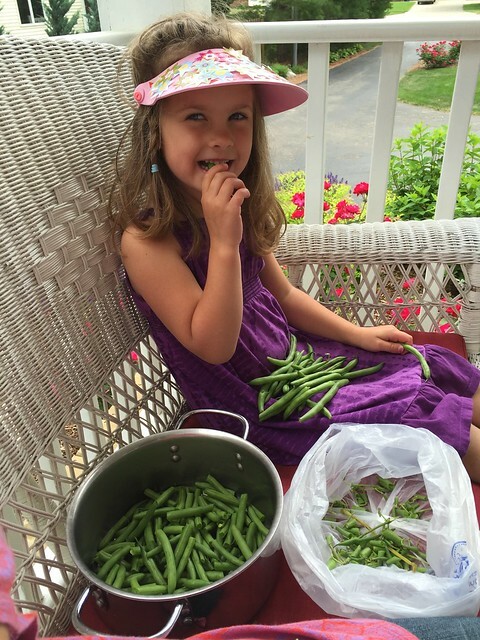 We do this, too, and it has definitely helped us and our children eat more vegetables. In fact, I think this is the main reason my toddler loves and eats so many vegetables. We actually have to limit her sometimes so she’ll eat some protein instead of just vegetables. 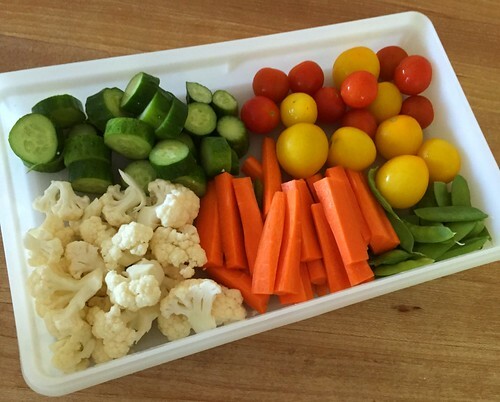 We put the veggie tray out for almost every meal, including breakfast. And if they’re sitting right there, it’s easy to nibble down a few tomatoes or pepper strips. The important thing is to have a variety of colors and vegetables. We like being able to choose. My children especially like different colors of peppers. 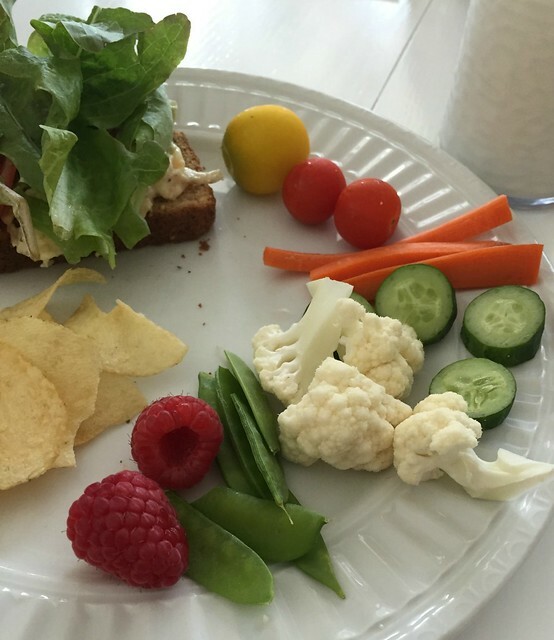 Yay, glad your kids are loving the raw veggies too! I’ve started doing this a few times and never followed through. Looking at your pictures I think the reason is two fold. One – I cut too much stuff up. I would have a whole container of one kind of veggie instead of the variety that you’re showing. It’s a much bigger job to cut that much stuff up and then some of it always goes bad since there’s so much. Two – storage containers. Most of mine are round bowls that take up a lot of space in the fridge. I need to look for some smaller, rectangle ones like what you are using. Is that what you use for your fruits and cheeses too? Oh, and for fruit and cheese I use even smaller containers. I don’t mix fruit, so I have a bunch of containers (about the size of a sandwich) that I use. 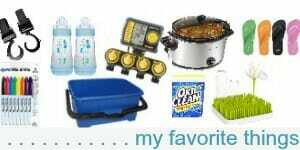 I read a different blog where she had bought a Rubbermaid container with 4 sections and a round container in the middle for dip. I bought it and have it always stocked with at least grapes and carrots as those are our faves. I also put in cucumbers regularly as they’re in season. GREAT help at snack times and before dinner when someone is hungry. We pull that out and snack on veggies or fruit. I can’t believe I hadn’t thought of it, but I’m so glad someone had! Yes, it’s so great to just pull it out for a quick snack! What is the best way to store them so they don’t wither or go bad? We just store them exactly like you see in this post — in a food storage container. They seem to easily last for 2-3 days (or more) this way. Do you add any water to the container when storing them? I don’t — because the container is so big and the water would slosh around. When I just cut up carrots, I’ll add water to that smaller container, but not the larger container with all different veggies. The carrots and cucumbers will dry out if you let them sit for days, but I haven’t had any issues with them lasting for 2-3 days.